by George and Ginger Co. 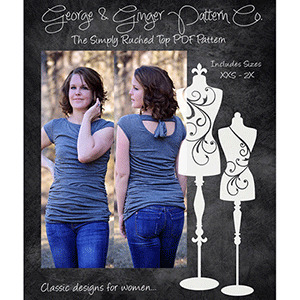 The Simply Ruched Top is the perfect addition to your pattern collection! 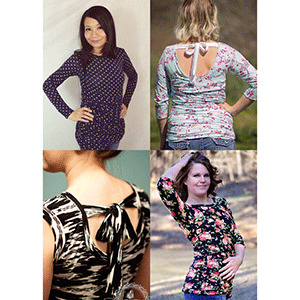 This adorable gathered, scoop back design is oh-so-flattering! With four sleeve lengths, it will carry you through all seasons! Back ties are optional! Make something fabulous for YOU! This pattern is available in sizes XXS to 2X. 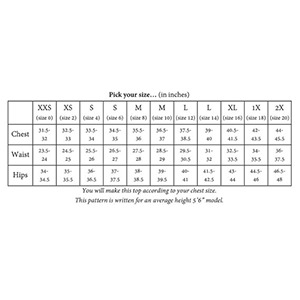 Suggested fabrics are cotton jersey, cotton lycra, lycra spandex, or ponte de roma.